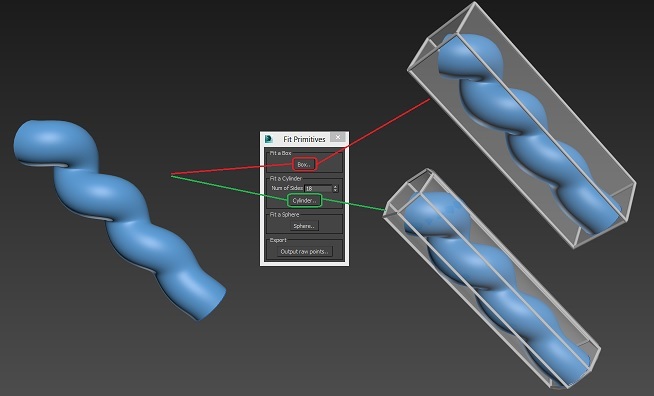 This script allows you to tightly fit objects with primitives such as boxes, cylinders, and spheres. This fitting works best with box-like shapes. All source code used is included in this package.